No complex accounting terms, maintain accounting books with ease, no accounting/bookkeeping knowledge required. A stand-alone app, no dependency on other software, no sign up required. Suitable for traders, retailers, wholesalers, manufacturing businesses. It works on all your Android, iOS and Windows desktop devices with seamless data syncing among all your devices. 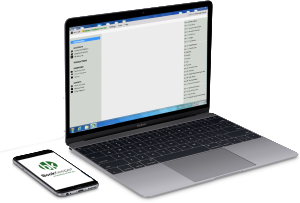 Send professional invoices to your customers while you are in the field. 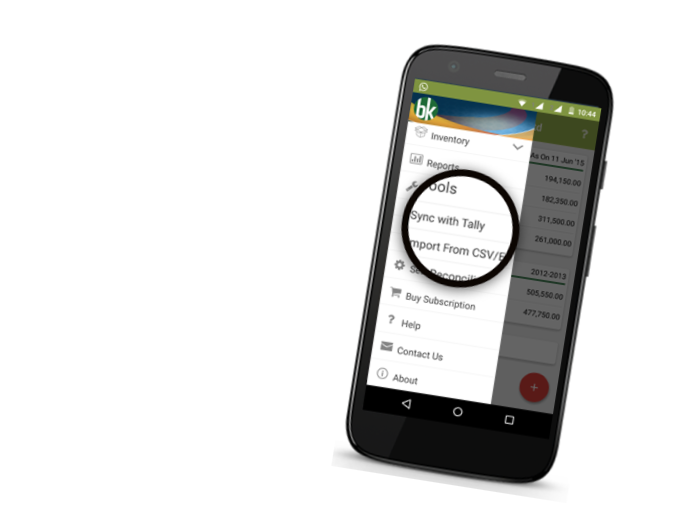 Take print directly with one touch or share invoice on WhatsApp/SMS with your customer. Invoices are fully customisable: Choose from various invoice templates, Add your company logo and signatures to the invoices. Add goods and services to same invoice. 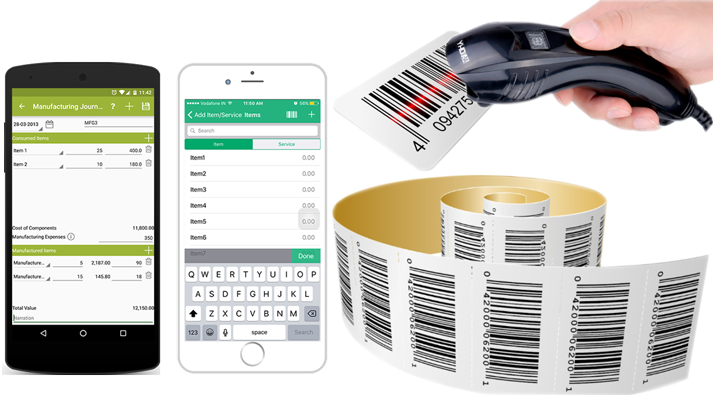 using barcode scanner (Book Keeper Windows) or inbuilt camera (Book Keeper Mobile). Video: How to create inventory items? Video: How to use warehousing? Keep track of unpaid and overdue invoices. Get paid faster! 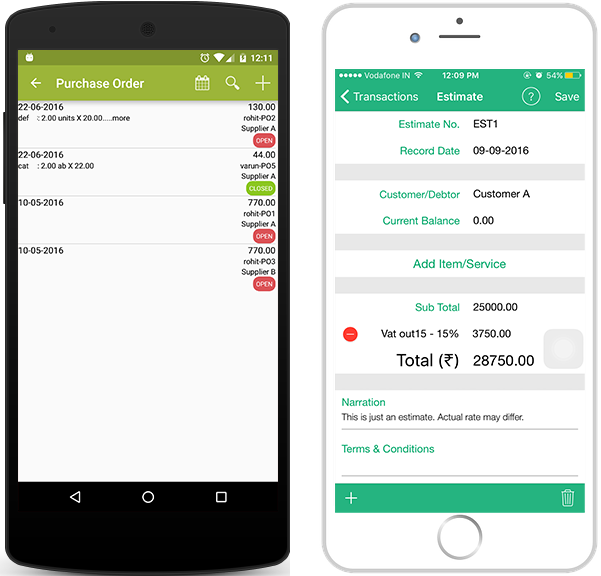 Send receipts/remittance advice to customers/vendors. Track all your business expenses. Take snaps and attach receipts. 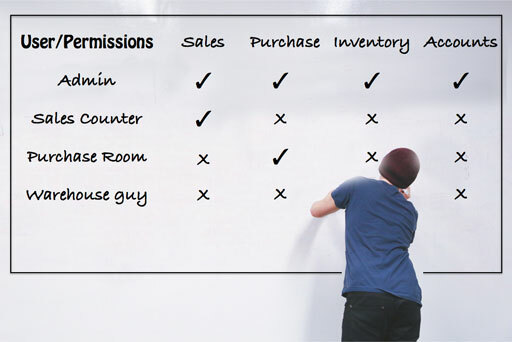 Generate sales order or estimates; Issue purchase order on the move. 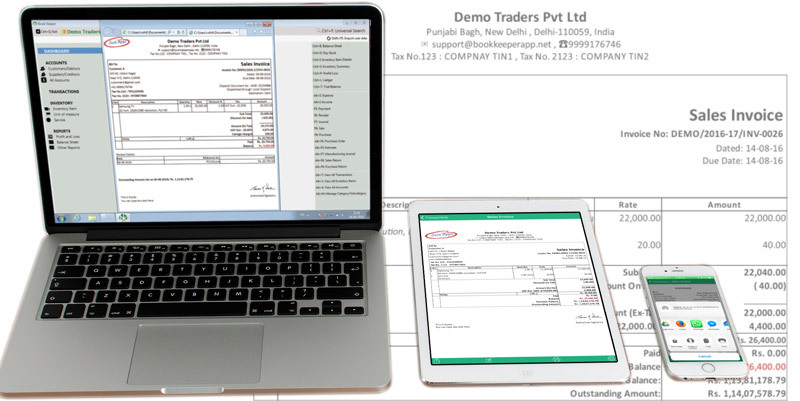 Convert sales order or estimate to invoices; Convert purchase order to purchase. Take print directly with one touch or share on WhatsApp/SMS with your customer or vendor. 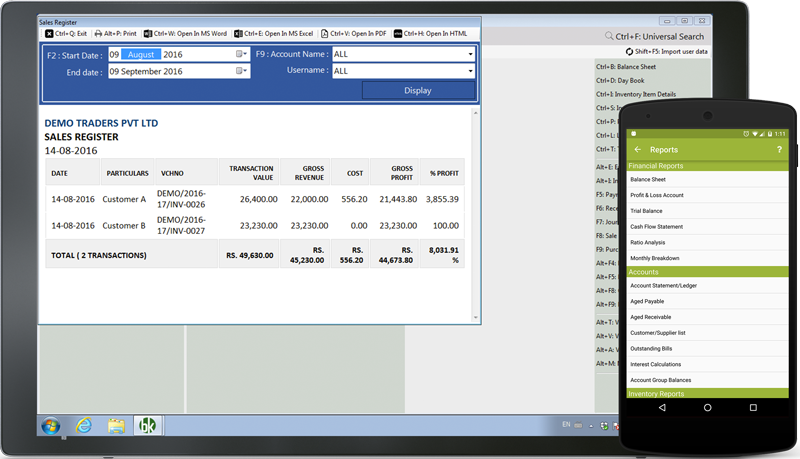 Video: How to create estimate & convert to invoice? You can create multiple users and assign them different permissions. purchase team can only create and send purchase orders. Video: How to create users and assign permissions? Access your accounts on your Android/iOS device while you are in the field. At home or office, access the same data on your Windows PC/Laptop. Book Keeper uses your Dropbox account to sync across devices. 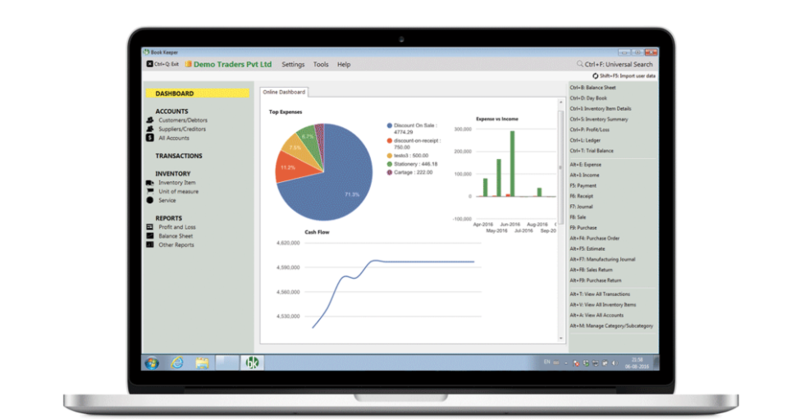 View your business summary in charts and make your decision quickly. 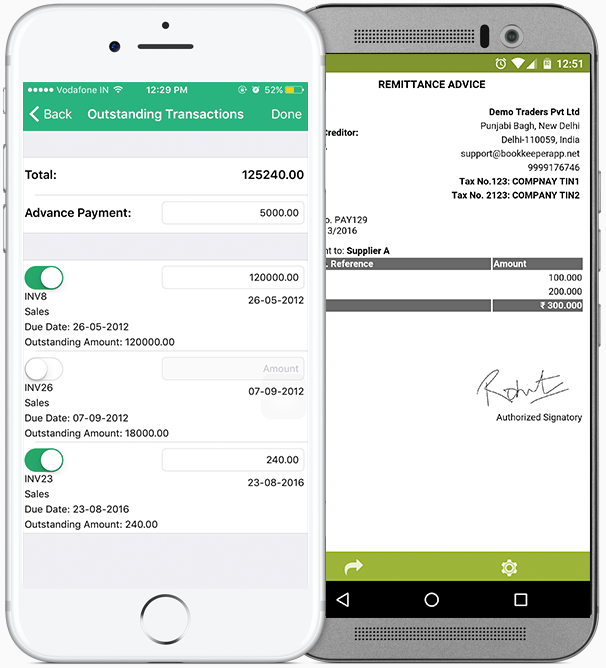 One tap to access your top expenses, cash flow, income and expense instantly. In-depth analysis of your business through comprehensive financial reports. Book Keeper provides you 25+ different reports to measure every aspect of business. You can import all your masters from Tally™ into Book Keeper. Also, you can export all your masters and transactions from Book Keeper to Tally™. Your Data. Safe & Secure. Your privacy always comes first. 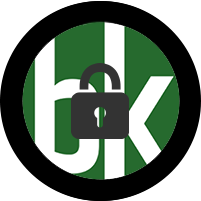 If you are using Book Keeper in offline mode, your data is stored locally in your device. and in Book Keeper Windows, it backups your data automatically. 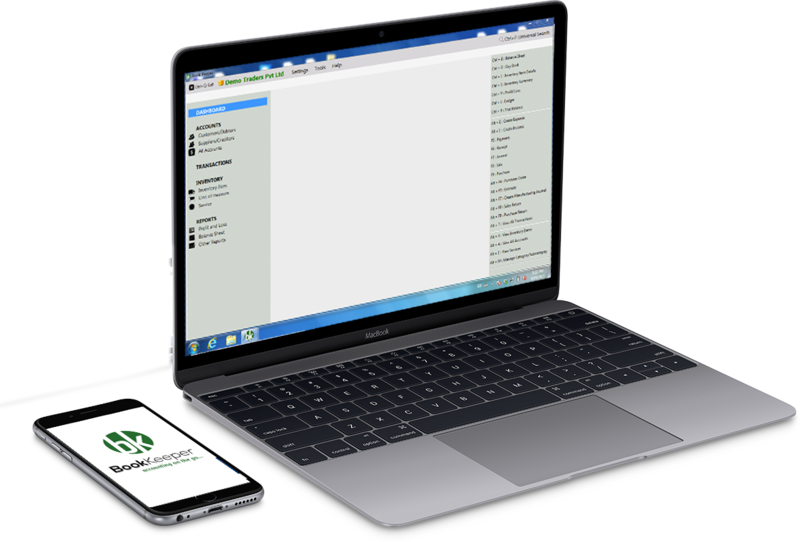 Book Keeper updates are free. And they’re available to download on your Android, iOS & Windows devices the moment they’re released. Book Keeper even alerts you when it’s time to get the latest version. So you won’t miss out on the amazing features in new updates. Affordable Accounting Software For Everyone!